This is a fascinating square with a very interesting web effect. 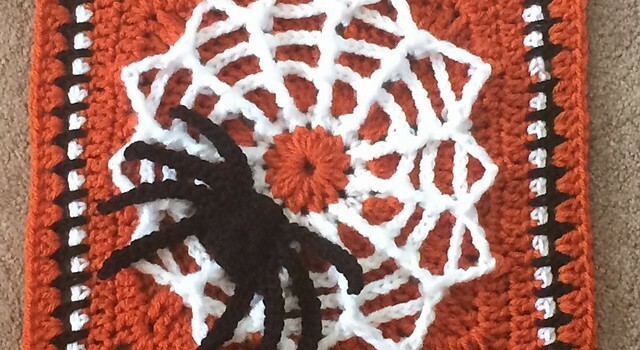 Tangled Web…Spider Web Afghan Square by Julie Yeager is a fun to crochet pattern that looks impressive and requires a bit of concentration and focus but the results are impressive. 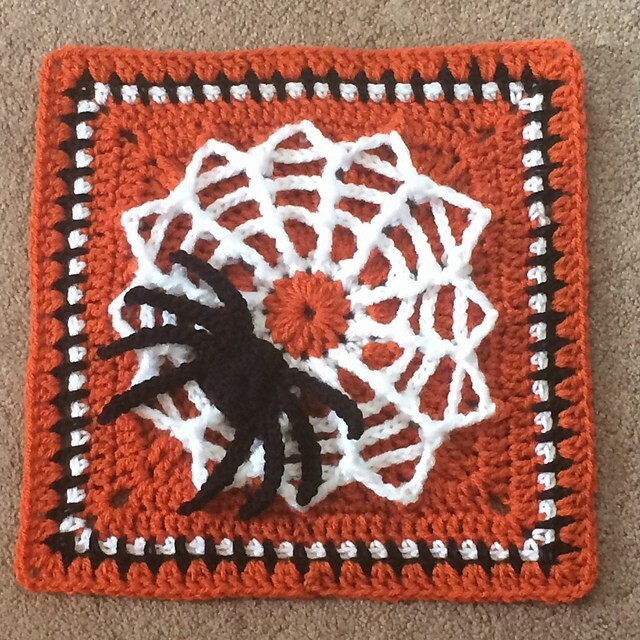 The spider and the “external” spider web make this beautiful square perfect for a Halloween afghan. If you wish to try something new for Halloween, this 12” afghan block with an interesting post stitch construction is a real treat. That would make great placemats!!!! Coragan Ann I like this one!!! OMgoodness this gave me a wonderful idea!